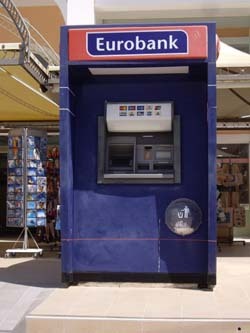 Ever wondered why there are so many ATMs on Kefalonia these days? It's because the banks have discovered a trick of processing transactions in pounds instead of euros allowing them to use their own exchange rate, a process called Dynamic Currency Conversion (DCC). The table below shows the comparative cost of obtaining €100 from the most common ATMs if you follow the default option of processing the transaction in GBP, and looking at the receipts left behind by other customers most people are still letting the ATMs steal up to 10% of their holiday money. 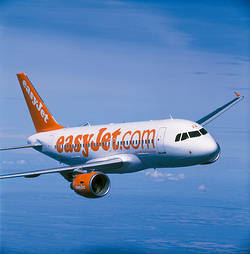 Welcome news to anyone living in the north of the UK, Easyjet will be starting a twice weekly flights service from Manchester to Kefalonia starting from the 16th of June. 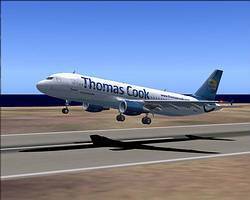 With Jet2 also operating this route it should help to keep prices down particularly for people travelling flight only. Brighten up your PC Desktop with these stunning images of Kefalonia taken by award-winning landscape photographer Colin Boulter of Neilson Reeves Photography in Manchester. They are available in a variety of sizes to suit most PC screens, simply choose your image and screen resolution, then right click on the image when it has loaded and choose 'set as background'. Due to its lovely sandy beaches and proximity to both airport and town, Lassi is understandably popular. 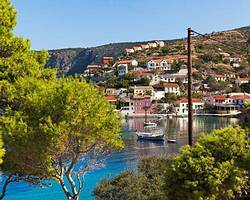 It lies just three kilometres to the south of Argostoli, the island capital, but has plenty of restaurants, cafes and shops of its own. Although a developing resort area, Lassi remains mainly low-key and particularly popular with families. Lassi has two superb beaches which get busy in season, but this does ensure that they have good facilities, including watersports, sun beds and a beach bar or two. 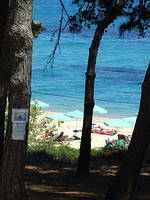 The south coast of Kefalonia boasts a string of sandy bays and beaches but only limited development to date (Skala is the only place approaching a 'resort' here). The beach stretches for about a kilometre and sunbeds are available for rent. 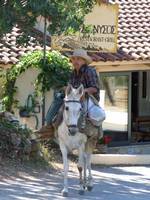 Slightly inland, the original village is an attractive little place and boasts a very traditional square shaded by a pine trees, three good tavernas and a mini-market. Lourdas essentially offers a quiet relaxed holiday with an excellent beach, fine views, scenic surrounds and limited (mainly taverna-based) nightlife. A Greek village which has turned resort. Its main attraction is its long expanse of fine shingle and sand, gently shelving into the sea, with isolated coves in the surrounding area. 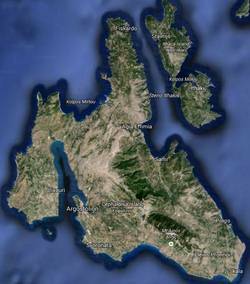 There is a small high street 100 yards from the beach with shops and tavernas and streets branching off. Along the coast, Potamaki Beach is a haven for the rare loggerhead turtles, and this has now been declared a conservation area. Night-time 'turtle watches' are organised for those who wish to observe the creatures without threatening their survival. 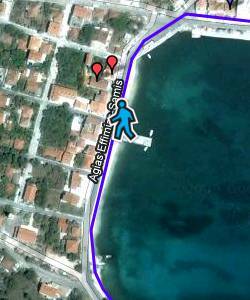 Kefalonia WalkAbout puts street view style tours into most of the resort maps. All you have to do is drag & drop the little blue man on to the line indicating the availability of the WalkAbout imagery. Enjoy a boat ride across the underground lake of Melissani where sunlight enters the caves, turns the water bold blue and scatters rays of light around the whole interior.